We’re excited to share the following overview highlights of elementary school #2 and initial sketches by DLR Group. The new elementary school will be constructed on the current Valerius site and is anticipated to be a 2-story, 4-section building (i.e. each grade level will have 4 sections). Design and construction elements will align with those from our first new elementary school built on the Olmsted site, while taking into consideration the constraints and needs of this specific site. Once construction is completed for the first new elementary school, we will move into design and construction planning for our second new elementary school. 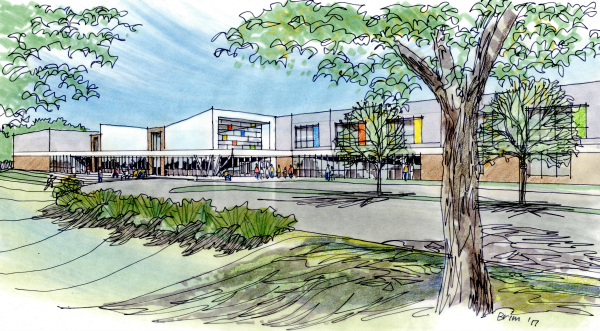 Construction will begin June 2023 and will be completed in the summer of 2025 in order to welcome students and staff for the 2025-26 school year. 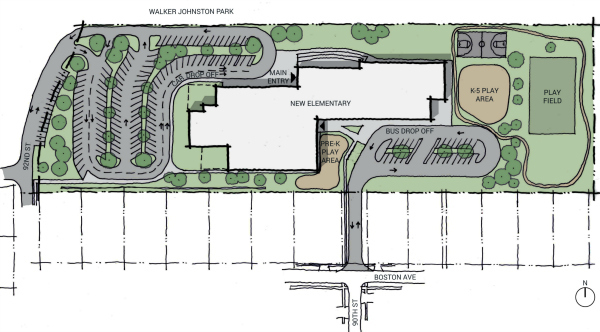 During the 2-year construction phase, Valerius students and staff will be relocated to Jensen Elementary.